If you’ve been charged with the honorable task of putting together an awesome bachelorette party for the bride-to-be, it goes without saying that you want it to be unforgettable. While the definition of what makes a “great” bachelorette party will vary based on the bride’s personality and wishes, there are still some things that you can do to create a fun, successful and memorable bachelorette party that everyone will love. 1. 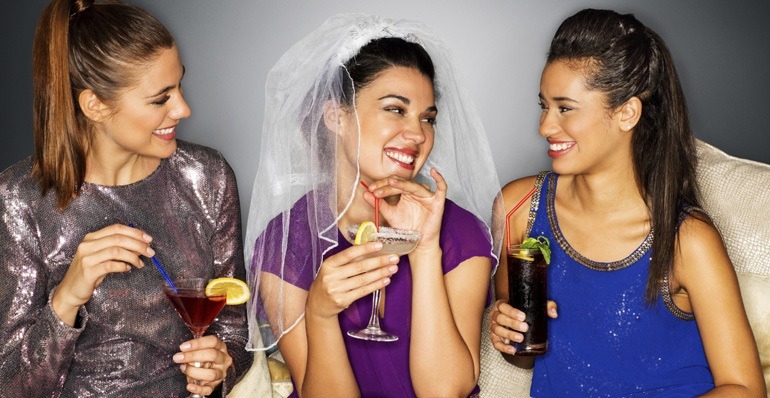 First and foremost, it’s always a good idea to sit down with the bride beforehand and ask her what type of bachelorette party she’d actually like to have. After all, the party is ultimately about the bride first, and the last thing you would want to do is bore her to tears, or worse, leave her feeling embarrassed or uncomfortable. So whether the bride wants a night on the town, a quiet weekend getaway, or whatever else it might be, do your best to accommodate her preferences and comfort level. 2. Put a lot of thought into the guest list. Be sure to consult with the bride as far as who she’d like to invite. You want to make sure that she’ll be around a group of girls that she can let loose with. Some consider it a customary thing to invite the mothers of the bride and groom to the party, but again, it will definitely depend upon what type of party we’re talking about. If you’re having brunch, afternoon tea or a dinner party, inviting the bride’s and groom’s mothers would be appropriate, but if there’s a pub crawl and saucy gift-giving planned for later in the evening, that might get a little awkward. Again, refer to the first point…if the bride really wants her mother to be there, don’t hesitate to invite Mom (and the groom’s mother as well), and find a way to possibly break up the party into phases: One that will include the moms, and one for girlfriends only. 3. When choosing fun activities for the party, it’s better to err on the side of caution and go for G-rated instead of OMG, unless the bride has specifically requested that kind of shindig. In other words, keep the Chippendales at bay. Don’t be afraid to get creative with your activity ideas, though; for example, the group could enjoy a karaoke extravaganza, a cooking class, an ugly dress party, or a giant slumber party in a rented-out hotel suite. Another option to explore is a group adventure such as an escape room experience. For example, Houdini’s Room Escape is a fun and unique group challenge in which participants are locked in a themed room, and must solve a series of riddles/puzzles to escape the room before the 60-minute time limit is up. Any type of activity that can get everyone involved and having fun will more than likely be a smash hit, and make great memories for the bride. 4. Have a non-stop supply of food on hand, and don’t forget music. There should be snacks and munch-worthy items for every phase of the party. Also, along with drinks of all kinds, make sure to have plenty of water on hand so everyone stays hydrated and able to enjoy all the festivities. Some locations won’t have music already playing, so load your phone or MP3 player with party tunes or choose a streaming radio station that plays the bride’s favorites, and bring along a portable speaker. 5. Games are a classic staple of a bachelorette party, and if the bride is into it, come up with two or three that are easy to follow along for everyone – like groom trivia, scavenger hunts, Truth or Dare, Never Have I Ever…you get the drift. Make a list of the games you’ll be playing along with the how-tos and rules so that everyone can play. 6. Don’t forget the party favor! Commemorate this monumental occasion with a fun or completely random party favor. It could be glow stick bracelets, temporary tattoos, hats, boas, bubbles, etc. Make it something fun you can use as a prop in the countless pictures that will be taken and shared from the event.